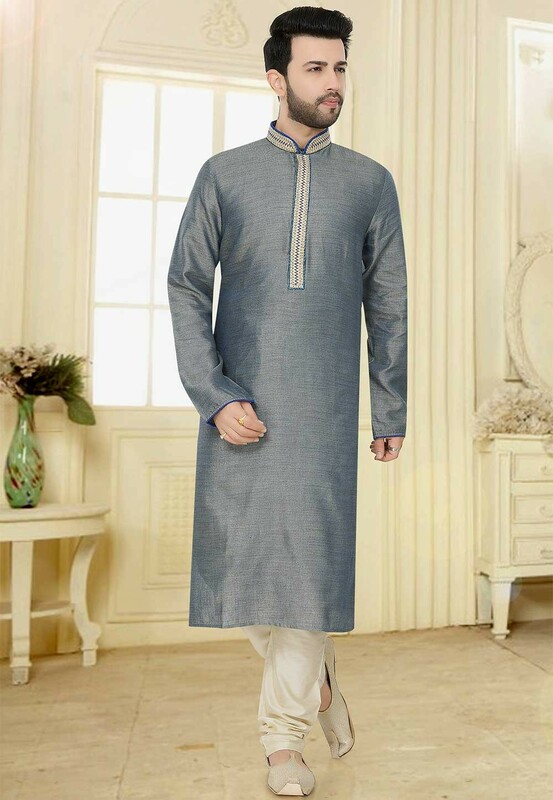 An charmingly styled Grey Colour Bhagalpuri Silk Fabric Readymade Kurta Pajama which is ideally suited for all ethnic functions. Garment is adorned with Thread work. You're reviewing: Grey Colour Plain Kurta Pajama. 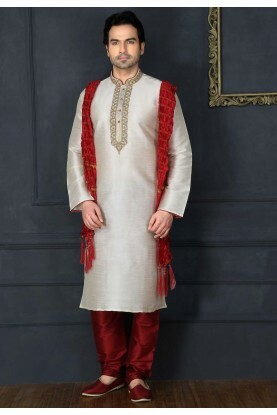 Men's Exquisite Off White Color Art Silk Readymade Kurta Pyjama.